A further sharp increase to a total of 6.2 million fuel cell vehicles is planned by 2040, of which 3.3 million vehicles are to be exported. The government wants to achieve this, among other things, by expanding the infrastructure: the number of hydrogen filling stations is to increase from 14 last year to 310 by 2022 and to 1,200 by 2040. In addition, the government plans to reduce the average price of an H2 vehicle to 35 million won (around 27,000 euros) through subsidies. 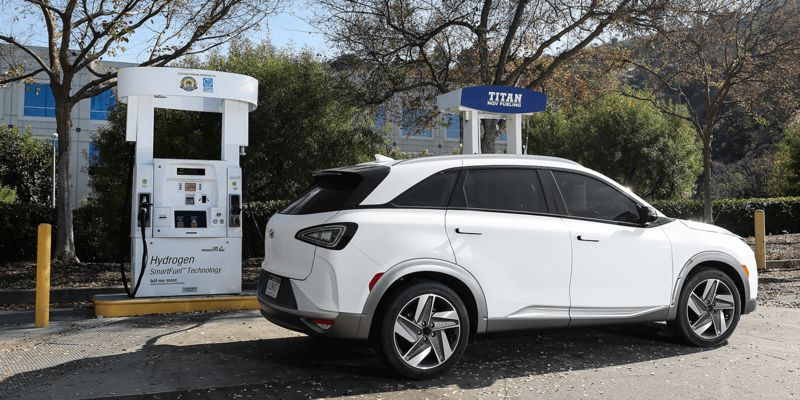 Hydrogen is also to become significantly cheaper: The aim is to reduce production costs from around 8,000 Won per kg to 3,000 Won per kilogram (6.25 to 2.34 euros per kg) by 2040. As far as the number of fuel cell vehicles in Korea is concerned, the government intends to encourage the purchase of such cars at short notice in order to boost the number of FC vehicles from the 712 recorded in 2018 to 4,000 by the end of this year. Public transport and the commercial vehicle sector are also expected to play their part: the government’s long-term goal is to introduce a total of 40,000 hydrogen-powered buses, 80,000 taxis and 30,000 trucks, as well as to promote domestic production of suitable car parts. “A hydrogen economy is a revolutionary transition in industrial structure, in which the energy source is changed from coal and oil to hydrogen,” says President Moon Jae-in Moon. “Hydrogen will create new industries and jobs in producing, storing, transporting and harnessing its use. It is also an opportunity for Korea to secure a new growth engine.” Specifically, the government expects the promotion of the hydrogen economy to create 43 trillion Won (nearly 34 billion euros) in economic value and 420,000 jobs by 2040.